What Is A Sliding Swivel Bath Seat? A sliding swivel bath seat consists of a stationary frame and a seat that moves. Most models have a seat that both slides and swivels. Some models have a seat that only slides or only swivels and are known respectively as sliding bath seats and swivel bath seats. All types, whether the seat slides, swivels, or does both, have one key thing in common: they make it possible for you to enter and exit the tub from a seated position, thereby eliminating the need to step in and out. Sliding Swivel Bath Seat models differ in the way in which the seat moves and the type of base supporting the seat. There are three types of seats and four different types of bases (support frames) that manufactures have combined together in a variety of different ways. We have summarized the different types below. Models can be equipped with one of three different types of seats which include: seat only swivels, seat only slides, or seat slides and swivels. These are described below. Some models have a swivel seat that rotates on an axis. The seat can be turned so it faces outside of the tub, making it possible to sit down, as if you are sitting on a regular chair. Once seated, the swivel feature assists you to turn your hips to face the front of the tub, making it easier to transition over the tub wall and into the center of the tub for a seated shower. Models with a seat that slides sideways are designed to glide sideways back and forth over a track, making it easier for you to transition over the tub wall and into the center of the tub. 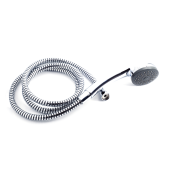 This type does not swivel, so you must be able to independently turn your hips to face the front of the tub. Some models have a seat that both slides and swivels, assisting you with both turning your hips and sliding yourself over the tub wall and into the center of the tub for a seated shower. Sliding and/or swivel seats can be found attached to a variety of different support frames. Swivel bath seats may have a legless frame that is designed to rest across the top of the bathtub’s sidewalls. 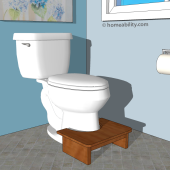 Most leg-less models require there to be a minimum of 1.25” of exposed tub wall present on top of each of the tub’s side walls for the seat to rest safely on top. Some models have just two legs that extend down from one side of the seat and rest on the tub floor. The other side of the seat rests on and clamps to the tub wall. The clamping mechanism helps to stabilize the seat and prevent it from wiggling when you sit down and stand up. Some models have four legs just like a standard household chair. All four legs are designed to rest inside the tub. This type is usually equipped with height adjustable legs. Many sliding swivel seats have a long bench-style seat that creates a bridge between the inside and outside of the tub. This type also has four legs, two of which rest on the interior of the tub and two legs that rest on the floor outside the tub. Most are equipped with height adjustable legs. Last, but not least, some sliding bath seats have been integrated into a bathtub transfer system, neatly combining both a sliding bath seat and a transport chair together in one. Bath transfer systems consist of a stationary 4-legged frame that gets placed inside the tub, a detachable transport chair (similar to a wheelchair) and a bridge that connects the two together. This type of bath seat is a good consideration if you are someone who cannot walk easily or at all. 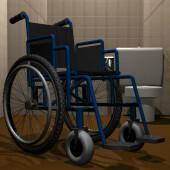 A caregiver can wheel you into the bathroom, insert the connector piece, and slide the seat (and you) over the track and into the bathtub. Some bath slider system models have a chair-like seat that remains fixed upright and others have a reclining seat. A model with a reclining seat is a good consideration if you have difficulty with sitting balance now or anticipate having more difficulty in the future due to a progressive illness. What do You Need to Consider When Picking a Sliding Swivel Bath Seat? When choosing whether a sliding swivel bath seat is right for you or which model will work best, the following considerations are useful to keep in mind. Appropriate Dimensions: Measure the width and height of your tub walls and confirm the model selected is compatible with your tub’s dimensions, prior to ordering. 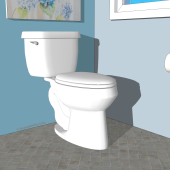 If you select a model that extends beyond the tub walls, make sure there is adequate space, free from nearby fixtures, to accomodate the length of the model selected. Shape of Your Tub: The bench-style models (models with two legs that rest inside and two legs that rest outside the tub wall) tend to work best in tubs with a square-ish shaped bottom. They often do not work well in tubs that curve significantly inwards at the bottom edges, because the legs that reside inside the tub will rest at the point where the tub flattens out, which can force the seat further outwards over the tub wall, resulting in you potentially finding yourself sitting half in and half out of the tub. Bathtub Material: If you are considering a model that rests on the tub walls, it is important to consider the material your bathtub is made out of. Tub walls can be made from steel, cast iron, acrylic and fiberglass, with the ones made from steel and cast iron being the strongest. If your bathtub’s walls are fiberglass and you are unsure if they will support your weight, avoid selecting a model that rest on the tub walls. Track Material: The track portion that the seat slides across can be made from aluminum, steel, or plastic. In our experience, the seats slide much more smoothly and easily on models with aluminum and steel tracks, than models with plastic tracks. This is relevant because it is still necessary for you to provide a little oomph to slide the chair (with the weight of you) across the tracks, so the easier it glides, the easier it will be for you to maneuver in and out of the tub. Cut Out Portion in Seat: Models with a cut out portion in the middle of the seat, make it possible to more easily access and bathe all areas from a seated position. Some can dual as a commode chair too and a few models are specially designed with an elongated track, making it possible to slide back and forth between the tub and a nearby toilet. This can be an especially helpful feature in bathrooms with tight, cramped quarters. Stability of Bath Seat: In general, the bench-style models will be more stable than chair-style models, because they naturally have a wider base of support. Models, such as the 2-legged ones that are designed to clamp to the tub wall tend to be the most stable of all, because the clamping mechanism helps to prevent the seat from wiggling or tipping when you sit down and stand up. Foldable: Some sliding swivel bath bench models are foldable, making them both travel friendly and also easier to store away when not in use. Locking Mechanism: Some sliding swivel bath seat models include a locking mechanism that keeps the seat steady when you’re sitting down and standing up. If you are have wider thighs, models with the locking mechanism located on the front side, underneath the center of the seat may be difficult to reach and operate independently. Instead, seek one with a lever release located on the side. Weight Capacity: Confirm the product’s weight limit is suitable for your needs. 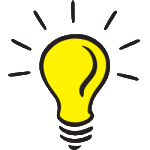 Water Containment: The bench-style models and models that clamp to, or rest on the tub wall, will all prevent the shower curtain from being tucked inside the tub. This can be remedied by cutting slits in your existing shower curtain to make it easier to tuck the shower curtain around the seat. Or, alternatively pre-cut shower curtains are available. To learn more, visit the Homeability guide on Accessible Shower Curtains. Once you purchase it, you own it! Due to FDA regulations, bath products cannot be returned (unless they are still sealed in the original packaging). Therefore, it is important to confirm that the height, width, weight capacity and features are all appropriate for your needs prior to purchase. 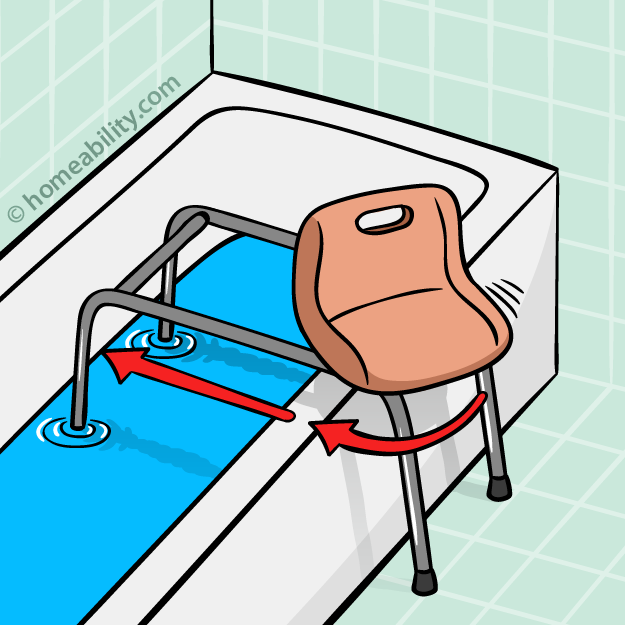 Models that slide back and forth over a track can definitely help make it much easier to get in and out of the tub, but be aware that they will still require at least a little oomph from you or your caregiver to slide the seat (with the weight of you on top) back and forth over the tracks. The models with a seat that only swivels tend to be easiest to operate independently. The models that are positioned fully inside the tub, such as the legless swivel seats and 4 legged chairs, will require you to have enough balance skills to lean back over the tub wall to sit down on the seat. The bench-style models that extend over the tub wall, tend to be even easier and safer to board. 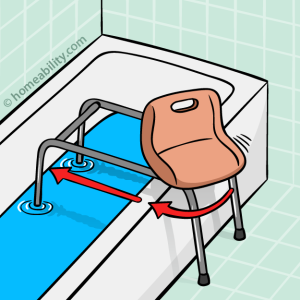 If you need considerable help getting in and out of the bathtub, the Bathtub Transfer Systems that combine a sliding bath chair and transport chair together in one are a good consideration. They can sound expensive on the surface, but they often help to save money in the long run. 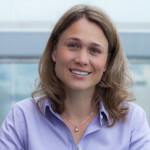 Namely, they help many people to save money by preventing the need to remodel the bathroom and they can also make it possible for a family member to help an individual into and out of the shower without needing to hire additional outside help. To learn more about alternative bathing solutions, visit the links below.